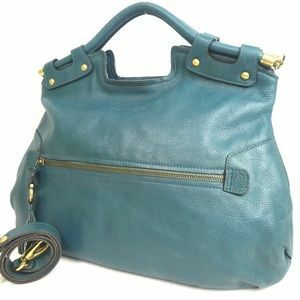 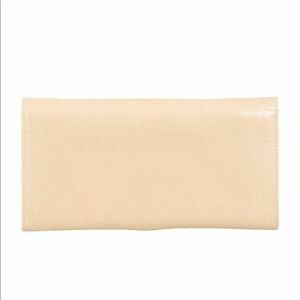 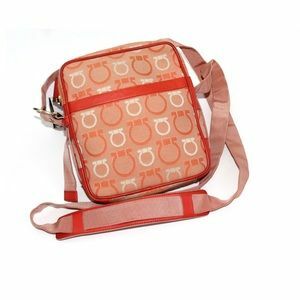 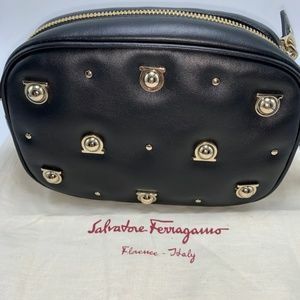 Salvatore Ferragamo is an Italian brand that features an elegant handbag collection. 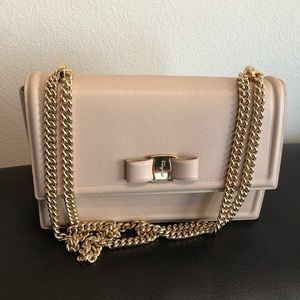 Perfect for daytime or evening wear, their selection of luxury handbags are known by their modern silhouettes and sophisticated details. 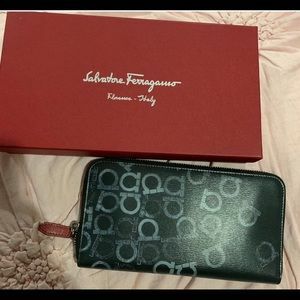 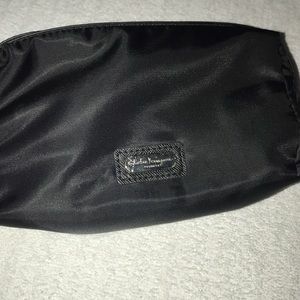 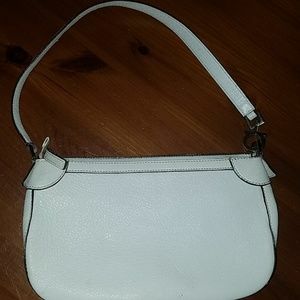 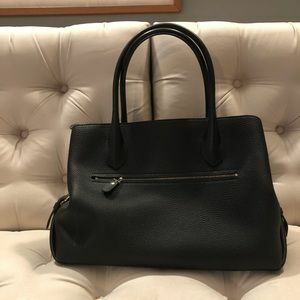 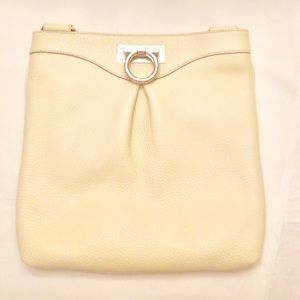 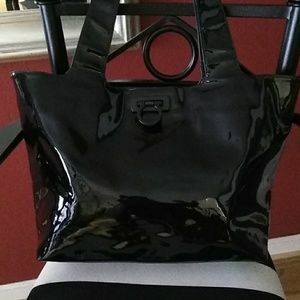 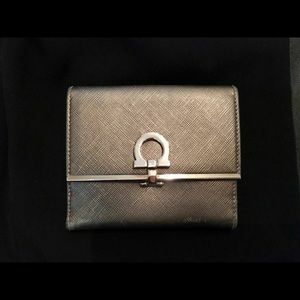 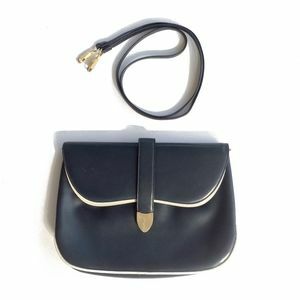 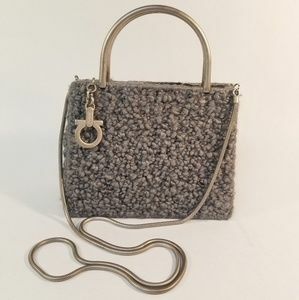 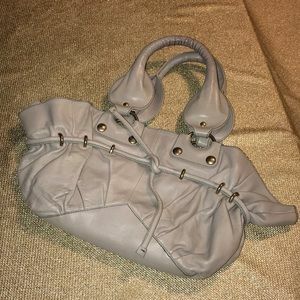 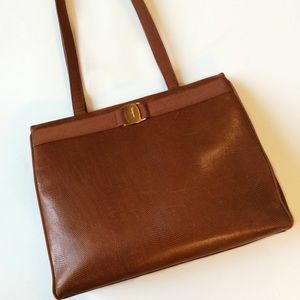 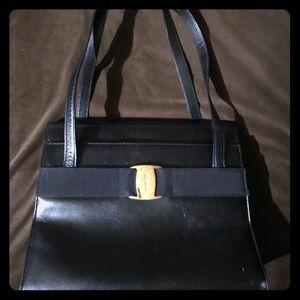 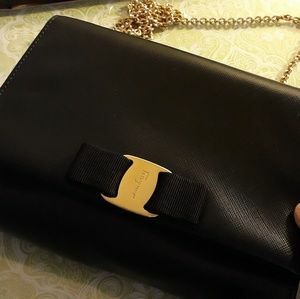 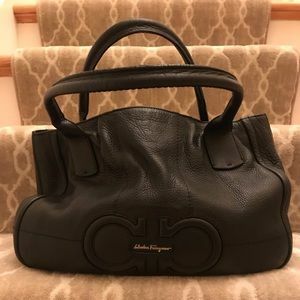 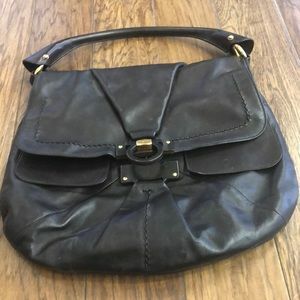 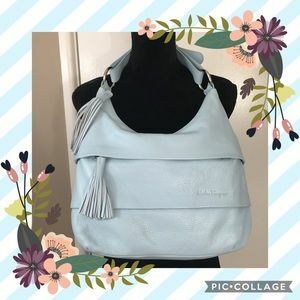 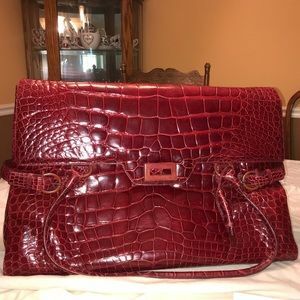 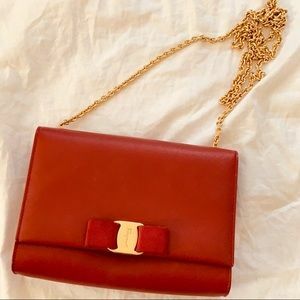 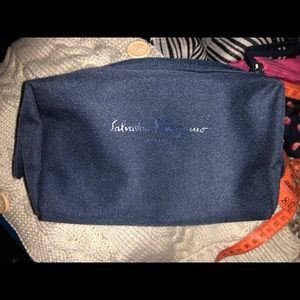 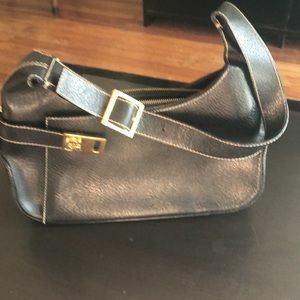 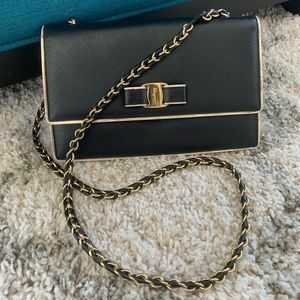 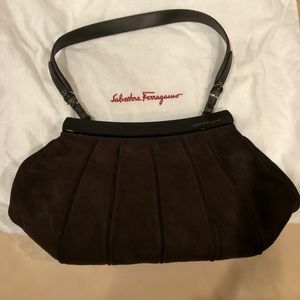 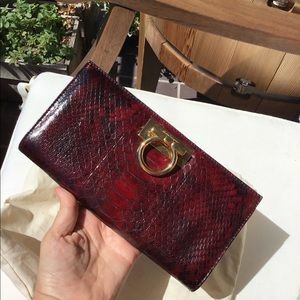 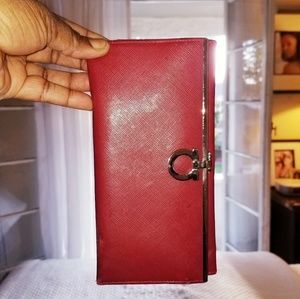 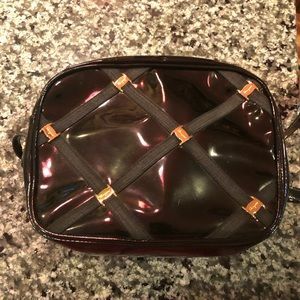 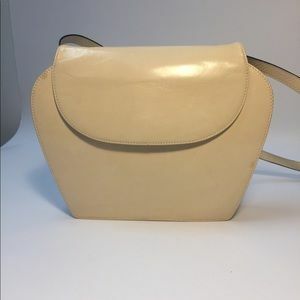 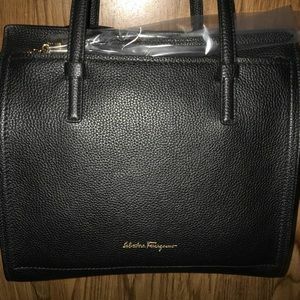 SALVATORE FERRAGAMO tote. 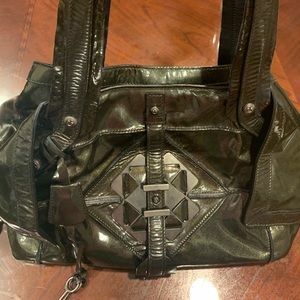 Authentic LIKE NEW! 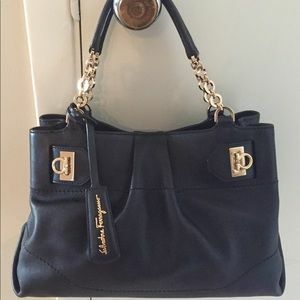 Salvatore Ferragamo started his career in Hollywood California creating shoes for iconic movie stars including Audrey Hepburn and Gloria Swanson. 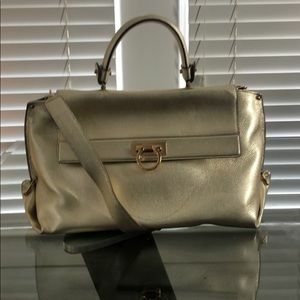 After returning to Italy in 1927, he set-up a shoe shop that flourished after the Second World War. 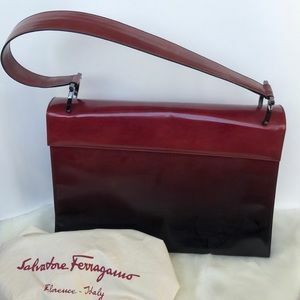 Today, Salvatore Ferragamo is a luxury Italian label that features ready-to-wear, shoes, handbags and accessories.